Is Kangen healing water for real? Enagic corporation, the maker of the Kangen machine, says No! Enagic forbids it’s sales people from making health claims. Any Kangen water sales person you hear making health claims for Kangen water is committing a fraud. A company called gia-Wellness claims to have a new technology that arranges water molecules in single file. Don’t fall for it, that’s an alkaline water scam. Buyers need to beware, many seemingly magical claims made about alkaline water, such as microclcustering, are alkaline water scams. Think you found a great deal on a Kangen Water machine? Guess again. Enagic, the maker of the Kangen machine can sue you for “delinquent profits”. If you refuse to pay, Enagic can refuse to sell you replacement filters, or to service your machine. Enagic Kangen Water representatives are not allowed to make medical claims, but they do anyways. Now the Malaysian Ministry of Health is going to force them to stop. Heard some amazing health claims for Kangen Water? If so, you’re being scammed. Enagic the maker of the Kangen machine, does not make or allow health claims. Anyone making health claims for Kangen water is in violation of Enagic policies, because there are no legitimate health claims for Kangen water. 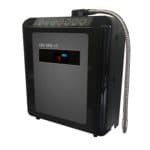 Does the Kangen machine have solid platinum plates? No. This is the newest Kangen Water myth BUSTED – in the Kangen Water Bunkhouse. Read this before you get scammed out of $4,000 by a Kangen multi-level marketer. There are over 40 studies showing health benefits from drinking alkaline water. So why is Dr. Mercola claiming it’s dangerous? If you look closely at his website, you can find the reason: He has something to sell you – and the FDA wants him to stop. Do water ionizers restructure or split water molecules? Nope. Most of the things “everyone” knows about water ionizers are actually false. Here are the 5 most common things that everyone knows about water ionizers that just aren’t true. Alkaline Water – Myth or Misunderstood? Are the benefits of alkaline water a myth or merely misunderstood? 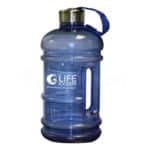 To find out, Life’s blog author tackled alkaline water’s critics head on. What we found out is that few, if any, of alkaline water’s critics actually know what alkaline water is! Nearly all of the critiques of alkaline water turn out to be just as pseudo-scientific as the Kangen Water claims they say they’re debunking! Dr Rafael Castillo was “shocked” when a relative of his paid $4,000 for a Kangen Water machine. He called it an alkaline water scam. But is it? Yes. The way the Kangen Water machine is sold is scandalous, and something must change. Enagic casts aspersion on the entire water ionizer industry by the way they market the Kangen machine. Kangen Water – Scam or Not? Why are people calling Kangen Water a scam? Because Kangen Water is promoted using dishonest sales tactics. Discover the dirty secret behind Kangen Water – what Enagic doesn’t want to tell you. Kangen water is weaker than alkaline water made by competing ionizers that actually cost a lot less. 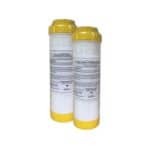 Kangen water can even become toxic due added chemicals and to the limitations of the Kangen Machine’s filter. Snopes.com claims that water ionizers are “medically baseless”. Really? 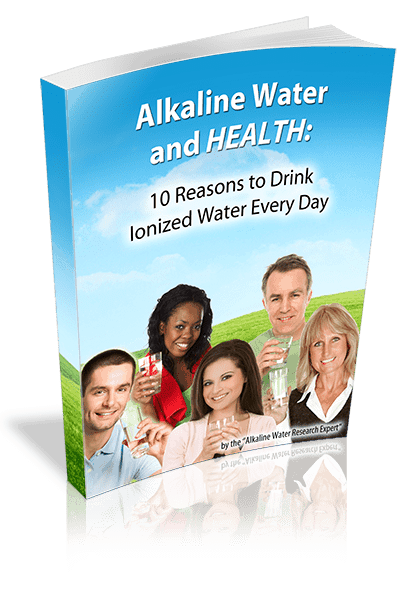 There’s over 40 studies that report health benefits from drinking alkaline water. This article debunks Snopes’ claims about water ionizers, and discusses the studies that prove Snopes is wrong.